COLUMBUS, Ohio, Jan 15, 2019 (SEND2PRESS NEWSWIRE) -- SafeChain, the industry leader in wire fraud prevention software and blockchain implementation for land title, announced today it has completed the digital conversion of Perry County, Ohio's deed transfer and conveyance process between the engineer and auditor. Beginning January 7, the Perry County Engineer's office will be able to digitize property deeds before the inspection and mapping process. Moving forward, each deed will receive a digital stamp backed by blockchain for added transparency and security, eliminating the need for physical authorization. The deeds will then be electronically transferred to the county Auditor's office for conveyance. "As public servants, our top priority is to ensure that we operate as efficiently as possible to best serve our constituents - regardless of the size of our jurisdiction," said Perry County Auditor Drew Cannon. "By working with SafeChain and the Perry County Engineer to modernize our operations and eliminate the need for a physical stamp, we've completed a key step for a 100 percent digital deed transfer and conveyance process. Through this project, we are providing transparency for property owners about their deed status, while also increasing our operational efficiency." Perry County marks another successful public-private partnership in which SafeChain has worked with local government officials to utilize the latest technology to transact property more efficiently. Its second successfully executed use case was deed issuance with Franklin County, Ohio. 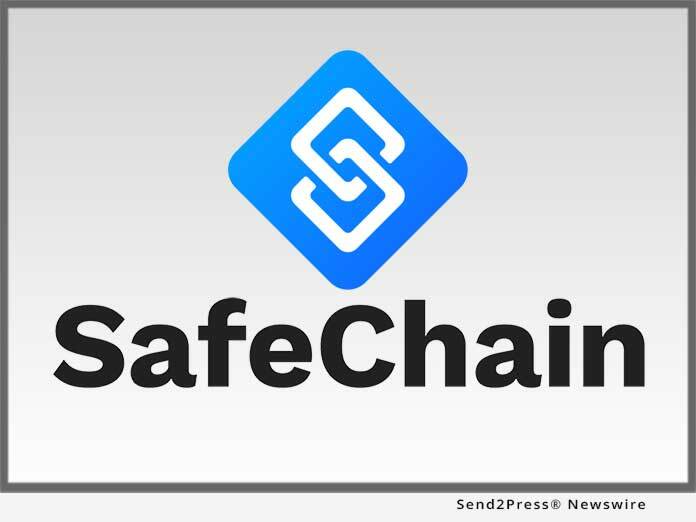 SafeChain's previous endeavors also include its commercial wire fraud product, SafeWire(TM). With the completion of the Perry County project, SafeChain has, for the third time, leveraged blockchain to positively impact the real estate transfer process, representing significant progress on Ohio's goal to transfer all real property using blockchain. "When SafeChain entered the real estate industry, we knew that tackling the industry's biggest challenges in both the public and private sectors was the only way to truly innovate a process that has existed for hundreds of years," said Tony Franco, CEO and co-founder of SafeChain. "Perry County is a great example of how innovation comes from across the state and isn't limited to metropolitan jurisdictions. By eliminating these physical and analog processes, SafeChain is excited to continue partnering with forward-thinking elected officials to improve the taxpayer experience of transacting property." SafeChain makes real estate transactions safer and modernizes operations for both the public and private sectors of the land title industry. Built by real estate title experts in collaboration with banking technologists, SafeChain tackles the inefficiencies of the home buying and selling process from the inside-out to help title companies, mortgage bankers, realtors and local governments decrease costs and deliver a better experience for customers. Leveraging the most advanced technologies, including blockchain, SafeChain increases the speed and security of real estate closings to deliver faster transactions and better consumer confidence.